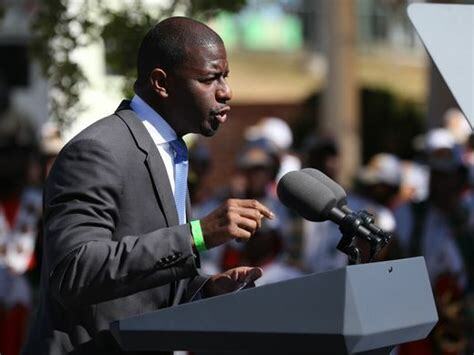 TALLAHASSEE, Fla. (AP) — Democrat Andrew Gillum’s campaign said Thursday that it’s prepared for a possible recount in the Florida governor’s race that he conceded to Republican Ron DeSantis on Tuesday night. At the same time, the U.S. Senate race between Democratic incumbent Bill Nelson and Republican Gov. Rick Scott remained too close to call, and Nelson’s elections lawyer predicted it would be a “jump ball” as it became more likely there would be a recount in that race. Gillum’s campaign said it’s monitoring the situation with an elections lawyer and preparing for a possible state-mandated recount. A spokesman for DeSantis wouldn’t comment on the situation. DeSantis continues to move forward as the presumptive governor. He appointed a transition team Wednesday. 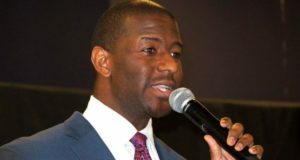 Florida law requires a recount in races in which the winning margin is 0.5 percentage points or fewer, unless the trailing candidate says in writing that he or she doesn’t want a recount. Canvassing boards conduct the recount by running ballots through vote tabulation machines. In elections with a winning margin of 0.25 percentage points or fewer, the state requires a hand recount of ballots where machines didn’t detect a vote.